Folsom Funeral Service » Arntz, Rose M.
Rose Marie (Palermo) Arntz, a longtime resident of Temple Street in West Roxbury, died Friday, December 5, 2014 at the Victoria Haven Nursing Home in Norwood. She was 98. Rose was born February 27, 1916 in Hartford, Connecticut and moved to Elmhurst (on Long Island) New York in 1920. Three years later, at the tender age of 7, she began classical dancing lessons with Ruth Froman and later at the Miller Sisters Studios. Rose attended Elmhurst High School until the spring of 1932 when, at the age of 16 1/2, through the Miller Studios, she joined the chorus of the Broadway show “Strike Me Pink” with a cast headed by Jimmie Durante. She assumed the stage name of Rose Palmer, a derivative of her stepfather’s name, Palermo. The following season, in 1933, she came to Boston in a new show named “Calling All Stars” featuring Martha Raye. At the conclusion of the Boston run she toured the vaudeville circuit as the straight lady for the movie comedian Roscoe Ates. Following that tour she went on the road again with “Calling All Stars” for the balance of 1934. In the Spring of 1935 she returned to Boston for an engagement at the “SS Royale” Showboat. It was during this tour that she met her future husband, Royal Arntz, who used the stage name Royal Marsh, and was a member of the Herbert Marsh Band. Returning to New York, she rejoined Roscoe Ates for engagements in all the major cities, ending in Hollywood, California. The following spring Rose returned to Boston once again. On a short visit home she and Roy were married in Queens, New York on November 9, 1936. Their first child, Ronald, was born in 1938; their daughter Valerie followed in 1939. Rose continued her dancing career, appearing at the Latin Quarter, the Fox and Hounds Club, and the Frolics Club at Salisbury Beach. After the birth of her third child, Dennis, in 1943 Rose retired from show business. The next twenty years were spent in raising her family and conducting a costume and dress making business at home. From 1965 to 1979 she worked part time with the Wolfe-Fording Theatrical Costume Company until the company moved to Richmond, Virginia. Rose was a member of the YMCA and a member of the Stratford Street United Church. She was the wife of the late Royal B. Arntz for 58 years and is survived by her two sons, Ronald A. Arntz of Westwood and Dennis R. Arntz of Laguna Niguel, California; her daughter, Valerie I. Vincent of Haverhill; her brother, Thomas Palermo of Lakeland, Florida; six grandchildren and 4 great grandchildren. A Memorial Service will be held at a later date. In lieu of flowers donations to the Stratford Street United Church, 77 Stratford Street, West Roxbury, MA 02132 would be appreciated. Heard about your mom’s passing through church friends. So sorry to hear that such an optimistic and always smiling lady has passed. We will always remember how enthusiastic she was with choreographing our Church shows and I was lucky to have her sew my golden Prom Dress. Every Christmas Eve, in West Roxbury we’d see her and she was always stately looking and happy. You were lucky to have her as your mom. I was sorry to hear of your Dear Mother Rose’s passing. mother and dad for many years. Centre St in West Roxbury. mother a birthday card every year until her passing sixteen years ago. The last time I saw Rose was at my mom’s wake and I gave her a big hug. soul and she be at peace. I want very much to attend her memorial service. My sincerest sympathy to all of you. My mother lived a blessed life. Always caring about how she could help others. She was in vaudeville and show business in her 20’s and met my dad in the early 30’s who was in my uncle Herb’s band. She was in the Broadway musical ” Strike me Pink” produced by Lou Walters, Barbara Walter’s father. My mother remembers seeing Barbara Walters on the set as a child. As a dancer she traveled west to Hollywood on the train as depicted in the movie” Some like it hot” with Marilyn Monroe. Well into her 80’s she asked me to take her on that journey once again to Hollywood. We had a great trip and it was the last time she would leave Boston. 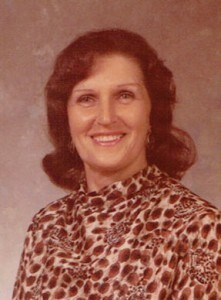 My mother enjoyed a full active life and passed quietly in her sleep.